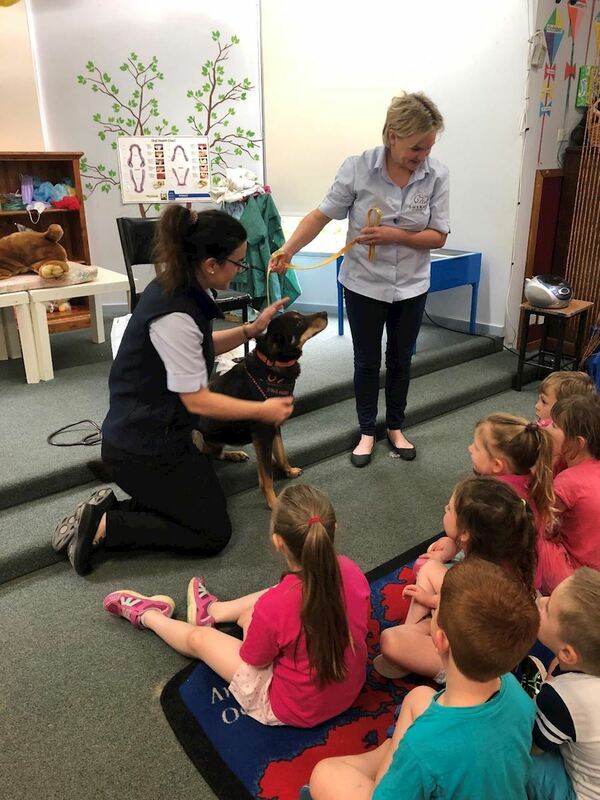 Emerald Veterinary Clinic is dedicated to reaching out to the local community and giving back, and part of this is offering talks to local kinders and primary school by one of our friendly veterinarians. The aim of the talk is to help children learn about caring for their pets at home, what vets do and safety around pets. We love teaching children about what vets do to care for pets and teach children that being a vet is like being a "pet detective" and how they can be detectives at home. Each talk goes for approxmately 15-30 minutes depending on the group and we try to make this as fun, engaging and interacitve as possible with lots of questions, showing x-rays and dressing up volunteers as a vet who is ready for surgery. A friendly (and very patient!) dog helper comes along to each visit and children can help give him a check over from nose to tail, listen to his heart and learn how to approach a dog safely and offer him a pat.